Is Your Private Practice Ready for Growth in 2014? A month into 2014, it’s still hard to gauge whether the Affordable Care Act (ACA) will eventually bring a rush of new patients into private practices. Data about patients who’ve signed up and are actually enrolled (and paying) are still hard to come by. Some patients have actually lost coverage: will new sign ups deliver net gains, beyond just replacement coverage for those who were dropped? What’s more, with open enrollment extending through March 31, it’s still early for people who might be procrastinating. Given this uncertainty, how should practices prepare? When you’re ready for growth, you’ll be able to handle it whether it comes from the ACA or your own marketing. What’s more, reinforcing your practice’s processes and procedures to accommodate more patients is also one of the best ways to serve your existing patient base more efficiently – which can lead to more satisfied patients, who in turn can refer others to your practice. Getting ready for growth also means making sure everyone in your practice understands how to capture all the revenue your practice earns – whether that requires learning the details of new health plans under the ACA, tapping into the Medicaid parity increase, or accessing new revenue sources like per-patient payments for medical homes. Are you ready for growth in 2014? For more ideas on how to bolster your practice operations to capture revenue and prepare for more patients, join me on February 6 for “Positioning Your Practice for Growth: Responding to the Dynamic Market for Healthcare,” a free Kareo webinar hosted by Physicians Practice. Laurie Morgan is a senior consultant and partner at Capko & Morgan. She managed both start-ups and large-scale operations in the media industry before turning her focus to medical practice management. 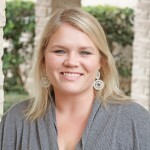 Her consulting focus is on driving and capturing revenue and operating more efficiently. Laurie has an MBA from Stanford University. When marketing your practice, it is often misunderstood that getting patients to your door is the most challenging aspect of promotion. True, new patient acquisition can be an uphill battle without targeted, authentic marketing practices, but pushing a patient from one-time-visit to raving fan involves much more. With the changes in the medical market today, it is more important than ever to treat your patients well and really earn their business. You want your good patients to return and to suggest you to their friends and family when someone is in need of a fabulous and caring physician. The two words you don’t want to forget when it comes to retaining your patients: Customer Service. If you haven’t guessed, I will let you in on a little secret. I am pretty passionate about customer service. It can so often be overlooked in healthcare in even in the name of “good medicine” or “getting paid.” I am also a fan of both of these, but they must coexist with phenomenal customer service for you to succeed. Marketing. It is difficult to retain patients you don’t have. Put your best foot forward and ensure your marketing is authentic and useful. The goal should be to position yourself as a resource in the community and to build a community of raving fans around your practice. Remember, marketing is a service. The more patients you reach the more people you have the opportunity to serve. The telephone. When a patient calls to schedule an appointment, it is always best to have a real person (with a friendly tone) answer the phone. In some clinics, it may be necessary to have an automated phone system as back up, but a live person is best. The fastest way to send a patient back to Google is to make them leave a message and wait for a return call for something as simple as scheduling an appointment. Check-in and waiting. Be sure to greet anyone arriving in the office with an open-ended question. “Hi. How may I help you?” Avoid directing them to “sign in and sit down” or “name?” Also, the receptionist should wait for the patient to respond fully before directing them to hand over this and fill out that. Take the time to ensure patients have to come to the reception desk as few times as possible to answer questions. Offer patients a bottle of water at check-in. It is a very small expense that will go a long way for customer satisfaction. Practitioner interaction. When patients are called back to the exam room, address them as Ms./Mr. and their last name. Staff members should make eye contact. These personal touches can put patients at ease. Practitioners should seek to build rapport with the patient, try to optimize communication, and remember to be engaged and treat the whole patient and not just the ailment. Check-out and payment. Patients should be guided to the check-out area. Collect balances and schedule follow up appointments before the patient leaves.. Follow-up. Following up with your patients after their visit is key. This allows you to assess how your patient is and how your office stacked up. Reach out via phone 72 hours after a visit to see how the patient is feeling. You may also let them know to expect a follow up email in which you can ask how your office did overall. If you can sit with that before each interaction and recognize that they chose you and your practice, and now you must prove they made the right choice, you will watch your retention rate climb. For more on how to effectively engage patients to improve your bottom line, download Engage! 10 Powerful Ways to Engage Patients in Every Area of Your Practice. Audrey “Christie” McLaughlin empowers physicians to grow their practices and better the lives of the patients they serve. Audrey is the CEO of McLaughlin Sales Group LLC, creator of the series Customer Service from the HEART, and creator of physicianspracticeexpert.com, a sales and consulting firm that specializes in the business of medicine. 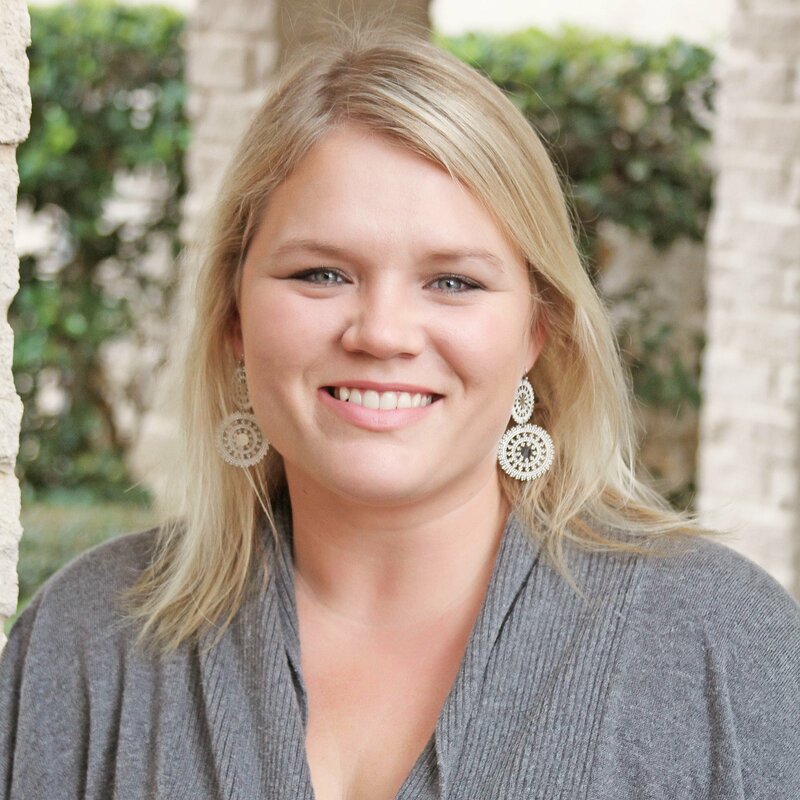 Audrey has more than 12 years of experience in helping physicians and hospitals provide the best medical care while growing revenue and keeping costs down. She is an expert, entrepreneur, author, speaker, and is active volunteer in her community. For example, pediatric practices tend to get a lot of wellness visit requests at the beginning of the school year and just before, while their sick visits balloon in the winter. Other practices find that access is most in-demand at year-end, when deductibles have been met. Make sure you’re analyzing your appointment slots to maximize access for those who need it most. Deborah Walker Keegan, Medical Practice Dimensions: Adopt modified wave scheduling. This is strategic double-booking, permitting a long and a short visit to be scheduled simultaneously. 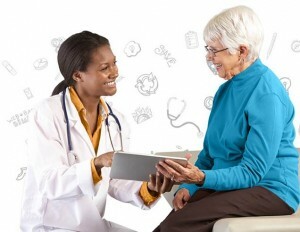 The MA rooms the “short visit” patient first (typically an urgent visit or an established visit), and while the physician is in with that patient, works up the “long visit” patient (typically a patient with chronic care issues or a new patient). Once the physician has completed the short visit, he/she then sees the long visit patient. This recognizes the time spent by medical assistants and other clinical support staff in support of the visit preparation. In this fashion, a small practice can add volume throughout the day. Rochelle Glassman, United Physician Services: Make sure your schedule reflects your patient mix. If you have 30% capitated patients and 70% Fee for Service (FFS) patients then your schedule should reflect that. Block out appointments for your 30% of capitated patients and leave the rest for FFS patients. Don’t schedule capitated patients in your same day appointments unless absolutely necessary. Leave those for your FFS patients who want more access. Judy Capko, Capko & Morgan: This may sound simple, but be open all day. There are still practices that close at lunch! Today, you just can’t do that. There is too much competition. If you aren’t open someone else will be. Someone needs to be there at lunch to answer the phone and provide appointments when people are able to get off work. And consider offering extended hours in the evening and weekends. Even a couple extra hours a week can make a big difference in access for your patients and keep them coming back. If you’re looking for more ways to strengthen and grow your practice, join Laurie Morgan for her upcoming webinar, Position Your Practice for Growth hosted by Physicians Practice and Kareo. Register Now! Mental health providers have traditionally set up practices that are largely self-pay. Those who take insurance often do so as part of an EAP program or other partnership that allows them to quickly build a practice but may only require billing to one or two payers. Only a few have transitioned to a largely insurance-based business model. The self-pay model is great for providers because they don’t have to worry too much about insurance billing, but it can be hard on consumers who need to pay out of pocket for mental health services, which can be expensive. Times are changing, and mental health providers have some choices to make as they move forward. The Affordable Care Act (ACA) mandates mental health coverage in insurance plans, and the 2008 mental health parity law requires payers to offer mental health coverage with co-pays similar to those for other medical services. These questions have become more pressing recently for two reasons. First, reimbursement is actually up for mental providers so there is a financial incentive to take Medicare and commercial insurance. The Medicare 2014 Fee Schedule includes increases of 8% for clinical psychologists and social workers and 6% for psychiatrists. The truth is that mental health providers don’t have to give up their independence to accept insurance. It isn’t an all or nothing scenario. Don’t go old school. Practices need medical billing software to streamline and simplify the process of insurance billing. Choose a simple, cloud-based solution that offers fully integrated practice management, billing, and EHR. Use all the tools. Don’t just submit claims, use eligibility verification, electronic remittance advice (ERA), electronic funds transfer (EFT). Use your EHR to document visits and create electronic superbills. This will provide more accurate documentation, save time, and improve billing. Submit claims daily, check your clearinghouse reports daily, and resolve problems as soon as they happen. It’s worth an hour a day. Get educated. Use the resources available through your medical society and software vendor to learn everything you can about how to be successful at medical billing. Be realistic and honest. Not everyone can do their own billing. It isn’t that hard but it does take a little education, practice, and commitment. If you’d rather spend your time taking care of patients or taking care of yourself, outsource your revenue cycle management. There are great, affordable options. Just educate yourself so you can make the right choice. Billing for mental health is changing. There are decisions about how to move forward that need to be made. But there are more options now and with the right solutions, anyone can overcome the ups or downs that come along. If you aren’t sure you can do it on your own, read To Hire or Not to Hire a Billing Service to see if outsourcing is right for your practice. Like many specialties, OB/GYN includes a variety of changes related to diagnosis codes (CPT & E/M codes remain the same) with the transition to ICD-10. 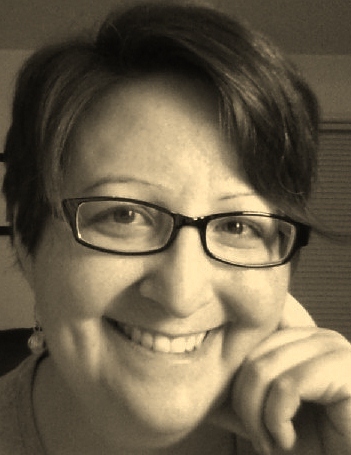 Lori-Lynne Webb, CHDA, COBGC, CPC, CCS-P, CCP, an AHIMA ICD-10-accredited trainer and regular blogger at Lori Lynne’s Coding Coach Blog, provides tips to ensure that physicians incorporate ICD-10-CM information into their documentation as well as avoid common compliance traps. Tip #1: Document the specific trimester. Many of the codes in Chapter 15 of the ICD-10-CM Manual require coders to report the specific trimester of the patient’s pregnancy. For example, ICD-10-CM code O09.01 denotes supervision of pregnancy with history of infertility, first trimester. ICD-10-CM code O60.02 denotes preterm labor without delivery, second trimester. Physicians can also simply document the specific number of weeks and days (rather than the trimester). Even this information is helpful because coders can calculate the trimester themselves. What physicians don’t want to do is force coders to report an unspecified trimester. This reflects poorly on the physician and his or her attention to detail and clinical care. Physicians must document whether the exam is with or without abnormal findings, as this affects code assignment. Physicians can bill an E/M code in conjunction with the appropriate ICD-10-CM code for this visit; however, only the lab can bill for the cervical smear test itself. Tip #3: Document the cause of pelvic pain, if known. As in ICD-9-CM, if OB/GYN specialists can identify the cause of any abdominal and pelvic pain associated with menstruation, they should document this information. Causes of pain include—but aren’t limited to—adhesions, a history of endometriosis, cystic ovaries, or menorrhagia. It’s important to paint the most comprehensive picture of the patient’s clinical presentation so coders can capture all of the appropriate codes in addition to the code for pelvic and abdominal pain (ICD-10-CM code I10.-). Tip #4: Pay attention to detail when documenting migraines. When a patient presents complaining of chronic migraines related to menstrual cramps, be sure to specify that the patient has menstrual migraines. ICD-10-CM includes codes for a variety of migraines, including those that are neurologic, abdominal, and ophthalmologic based. Also specify whether the menstrual migraine (ICD-10-CM codes G43.82- and G43.83-) is intractable vs. not intractable as well as whether it is with or without status migrainosus. Tip #5: Document the reason for any fetus viability scans performed. Is the scan performed for routine screening for viability, or are there signs and symptoms (e.g., decreased fetal movement or fetal anemia and thrombocytopenia) that indicate that the patient may have a miscarriage? This information affects code assignment. Tip #6: Specify whether advanced maternal age (elderly primigravida) complicates a patient’s pregnancy. If a patient is over the age of 35, specify whether her advanced maternal age is a factor in the delivery, and if so, what specific problem it caused. For example, during delivery, these patients may have pre/post eclampsia, an increased likelihood of postpartum hemorrhage, or placenta accretes. During the antepartum care, they may have an increased genetic risk factor for fetal abnormalities. For more tools and information about ICD-10, visit the Kareo ICD-10 resource page. In her recent webinar, Nothing but the Facts: Find Out What Your Patients Really Think, speaker Judy Capko discussed the ways to capture patient feedback and how to use it to improve your practice. Participants had many questions about this process, and we’ve chosen several of the top questions to share here. Q: To get a statistically sound baseline, how many patients should I survey initially? A: I think responses from 10% of your patients would be valid. I suggest you poll 25-30% of your patients. That way if you get a 30-40% response rate you should reach that 10% of all patients number. If you use a third party for your surveys, they will set these goals for you. Q. As an alternative, what about using the hospital surveys to measure patient satisfaction? A: Hospitals use a criteria for in-patient care so not all questions are relevant to ambulatory care. I suggest you look at the Rand 18 sample (the link is in the slides), and think about the questions you want to ask to get answers that can help your specific practice improve. Think about key points of service like wait times, communication, and giving patients treatment options. Q: Is a business associate agreement required to use a third party to do the survey? A: It may depend on how you are collecting the feedback. If it is an anonymous online survey, you probably don’t need to worry about it. 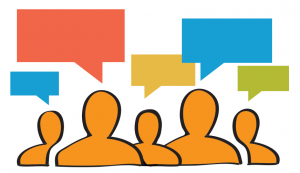 If you are doing in-person focus groups then you may need to do one. Definitely check with the vendor based on their past experience. They can probably tell you. Q. Do surveys encourage negative comments? A: There is always the possibility of negative feedback in surveys. But you need to look at that feedback as an opportunity to fix problem areas. It’s unlikely that you’ll get negative feedback that is just for the sake of being negative. Most of us are basically doing a good job, but we need to know if there is a problem somewhere or we can’t address it and improve. Q: Don’t some of the patient issues come about because the physicians don’t have enough time? Reimbursement is down and they have to see more patients in the same amount of time. A: I understand this concern and it is valid, but there are solutions. Usually, if physicians learn to delegate things that do not require their expertise they gain time during their day. This requires having competent staff who can perceive your needs and help you move through your day more easily. Also, your manager can help you determine the many technology features you can employ in your practice to save time. A patient portal is one of them. As far as patient satisfaction, a survey is an opportunity to identify the most pressing issues. You need only to address them one at a time. One key element to accomplishing this, as I said in the webinar, is having a committed team. You are not in this alone. Many of your peers have the same issues. So, focus on making positive changes and take one step at a time. If you missed this interesting and informative event, check out the recorded webinar. If you are looking to evaluate and build your practice, register for our next webinar, Is It Time to Look at New Revenue Streams. Judy Capko is the founder of Capko & Morgan, a nationally recognized healthcare consulting firm. 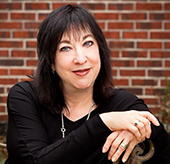 She is the co-author of the sensational new book, The Patient-Centered Payoff. For more than 25 years she has specialized in medical practice management and operations, emphasizing patient-centered strategies and valuing staff’s contributions. Judy is also the author of the top selling books Secrets of the Best-Run Practices and Take Back Time: Bringing Time Management to Medicine, and is a popular speaker at national healthcare conferences. Thousands of physicians and administrators have benefited from her practical, innovative, and no-nonsense approach to organizational management and strategic planning. Last month, the 2013 Mobile Health Summit was hosted by HIMSS at the Gaylord Resort in suburban Washington DC, spanning 4 days during the Mid-Atlantic region’s iciest conditions in years. Inside the cocoon of this convention space, 5,000 conveners took in demonstrations of innovations that use mobile platforms and standards to extend health services, knowledge, and self-help tools to people and providers. Lots of apps, too few business models. There are too many apps and not enough companies, Esther Dyson noted in a keynote session during which she dialogued with two Steves: Steven Krein of StartupHealth and entrepreneur Steve Case, entrepreneur and Chair of Startup America. Coupling Dyson’s comment with Case’s observation that mobile health must shift from platforms to products, the takeaway was that mobile health needs to “productize” itself. There’s a lot of development under the mHealth umbrella, but much of it isn’t packaged and managed for longer-term sustainability. Grow the evidence to support mHealth innovations that work. Without evidence, the healthcare industry won’t adopt new innovations. To this point, the Journal of Mobile Technology in Medicine published a supplement (Volume 2, Issue 4S) to coincide with the summit. Its 15 abstracts highlight existing evidence supporting the adoption of mobile health. The topics included text messaging to improve anti-cancer adherence, primary health care extension in urban Malawi, mHealth tools to combat the spread of TB, mobile usage to support HIV care, and the effects of promoting physical activity among Type 2 diabetes patients, and more. However – and here’s the rub – most of these projects aren’t using commercially available products yet. A recurring theme was that it’s become clear that – given standards, opening APIs, cloud computing, and the hackathon approach to coding in health – mobile health can’t be about the technology alone. The heavy lifting comes once an mHealth tool is in a provider or patient’s hands (or, in some cases now, body). The approaches we adopt need to support behavior changes that lead to improved patient outcomes and lower health costs – or at a minimum, aren’t cost-increasing unless that can be balanced with a quantifiable benefit (say, faster return-to-work for a patient, or increased productivity for the doctor). A data tsunami must be avoided. A new word was introduced to many of us: “infobesity,” and it refers to the phenomenon of having too much data and not enough ability to deal with it. We can’t jump to big data analytics until we sort out how to move the growing bits of fragmented “small data” from peoples’ wearable devices into larger data sets that can make meaningful and actionable suggestions to patients and providers. No physician wants to read the raw output from peoples’ Fitbits, Misfit Shines, or Withings scales. To that end, Arielle Carpenter of Withings talked about connecting their devices and data to the larger health ecosystem. This is the new challenge for the “other” side of HIMSS – electronic health record companies who remain fairly closed to the concept of programs like the Robert Wood Johnson Foundation’s Observations of Daily Living smoothly sailing into patients’ medical records. “Disruption” is a word that should be cautiously used around providers. Frequently used at the conference were the words “creative destruction” (you might recognize them from Eric Topol’s book, The Creative Destruction of Medicine). But, interestingly, when they were used by various people during the summit, they acted like a two-word bomb. Time and again, the Twitterverse would erupt with comments about how “scary” or “intimidating” or unhelpful the idea of “disruption” is in healthcare. At one point, someone tweeted, “We are losing respect for doctors.” (Yet what about physician workflow? Aren’t providers health care lives disrupted enough by the Affordable Care Act, EHR implementations, Medicare payment cuts?) Words have power, so if we seek culture change and successful marketing of the use of mobile health tools, then perhaps some other framing would be useful. Don’t over-forecast or over-expect mobile health adoption in the short run. Because mobile is tied to behavior change – for patients, caregivers, providers and payers – the shiniest new technology won’t get adopted quickly without quite clear evidence and aligned incentives. Last week, a survey found that only 10% of medication adherence programs use mobile platforms: mail and face-to-face pharmacist interaction were by far the most-used tactics. Similarly, Susannah Fox of the Pew Research Project noted that their latest data shows that most people are still self-tracking health in their heads – not via digital means. Essential to progress on this front is to get patients and physicians on the same page, working together for shared, participatory decision-making. Mobile health is taking off much more quickly outside of the U.S., in places that aren’t burdened by costs sunk into an HIT infrastructure that is fragmented and cumbersome. 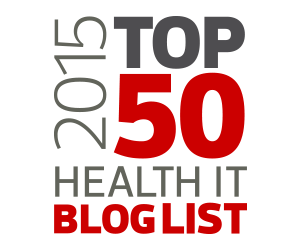 Frustratingly, interoperability in the U.S. remains a barrier to many health innovations. So does payment, and all the talk of moving from volume-to-value brings up an important reminder: We shouldn’t over-forecast value-based care when there continues to be discounted fee-for-service throughout much of the nation. Less so still when that’s coupled with consumers who are facing high-deductible health plans they don’t really know how to use. We trust that mHealth’s impact in U.S. healthcare will be tremendous in that long run, but getting there will require more evidence, more business acumen, and greater scale – all things that so often prevent the fragmented U.S. system from innovating the way other nations’ health systems do. This article was provided by the Kareo Marketplace partner ZocDoc. Jane Sarasohn-Kahn, MA (Econ. ), MHSA, is a health economist and advises organizations at the intersection of health, technology and people. Jane’s clients span the broad range of stakeholders in health, including technology, bio/life sciences, providers, plans, financial services, consumer goods, and public sector. Her latest venture, HealthcareDIY, is a portal to engage and inspire consumers in self-health: to eat right, shop smart, live well, and use technology to bolster health. She’s been named One of 8 Health IT Thought Leaders to Follow,One of the #HIT100, One of Ten Twitter Profiles of Public Health Advocates, A Woman Rocking Health, and One of Five Fierce Female Health Bloggers to Watch. 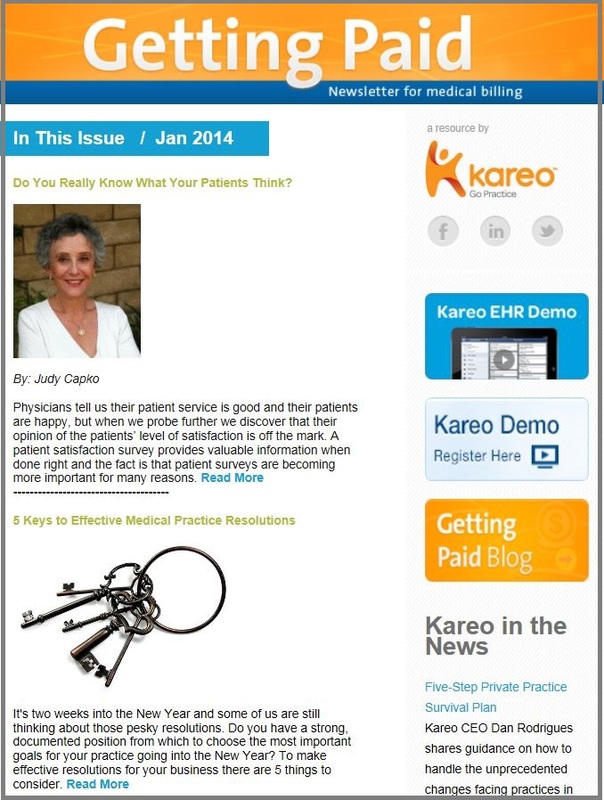 The January edition of the Kareo Getting Paid Newsletter is packed with tools and tips to help you improve and grown your practice. The newsletter also provides a chance to catch up on some interesting industry news, get medical billing tips, and links to connect with Kareo on social media channels. You’ll discover more about how to register for our upcoming free educational webinar, Nothing but the Facts: Find Out What Your Patients Really Think, presented by Judy Capko. Read all this and more now! It is two weeks into the New Year and some of us are still thinking about those pesky resolutions. Most people pick the same things—lose weight, get healthy, save money. We do that because we know our own stats. We know how much we weigh now and what we want to weigh. We know our bank balance and that we should have three to six months in reserve. We have a strong foundation upon which to choose and plan for our personal resolutions. What about our medical practice resolutions? Do you think about those in the same way? Do you have a strong, documented position from which to choose the most important goals for your practice going into the New Year? To make effective resolutions for your business there are 5 key things you need to do. Know Your Practice Stats: Before you can think about the future, you need to understand the past. You can’t make plans to increase revenue, number of patients, or visits if you don’t know what your numbers are now. 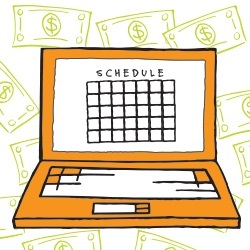 Take the time to do a detailed analysis of your practice financials and productivity. Identify Areas for Growth: Once you finish your analysis, you should be able to easily identify areas that need work. If you consistently have open appointment slots, then set a goal to increase appointments and/or patients. If you are struggling with high patient A/R then look at focusing on bringing that number down. Seek out opportunities that will have a big impact! You only need to pick one or two and over the year you can see meaningful results. 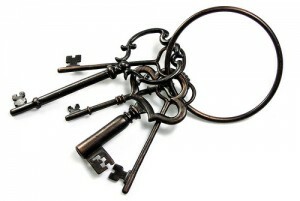 Identify New Opportunities: If your practice is in tip top shape then maybe 2014 is the time to look at new opportunities. You could spend 2014 evaluating what types of new services you might add or how you could build your practice through new marketing or other growth strategies. Make Realistic, Achievable Resolutions: Your ultimate goal may be to increase patients by 25%, but that might not be a realistic starting point. Set small, achievable goals as stepping stones to your end goal, like increasing patients by 5% in six months, or it could be as simple as identifying three ways to increase patients in the first quarter of the year. If your goal is too challenging, you are setting yourself up for failure. Don’t Give Up: If you get off track for a bit, don’t give up. In a smaller practice where resources are limited you may have times when you can’t focus on your goal(s) but that doesn’t mean you give up all together. Come back and evaluate your progress regularly and adjust your goal as needed—up or down. If you have achieved your goal to increase patients 5% then increase that another 5%. If you haven’t made it, look at why and figure out how to overcome whatever challenge is standing in your way. Businesses are like people—if you don’t constantly reevaluate where you are and plan for growth, you can stagnate. Think of your practice as a living entity that needs constant care. Making New Year’s resolutions is a great way to make improvements, grow, and thrive into the future. For more on evaluating and growing your practice in the New Year, join Kareo for one of our upcoming webinars: Position Your Practice for Growth or Nothing but the Facts: Find Out What Your Patients Really Think. Do You Really Know What Your Patients Think? Most physicians tell us their patient service is good and (for the most part) their patients are happy. Sure, they get an occasional complaint, but doesn’t everyone? When we probe further we discover that their opinion of the patients’ level of satisfaction is subjective and, sometimes, completely off the mark. There just aren’t that many practices that actually conduct patient surveys to find out what they really think. A patient satisfaction survey provides valuable information when done right and the fact is that patient surveys are becoming even more important. Reform’s goal is to ensure providers are meeting the patient’s needs in a number of specific areas that will influence the healthcare of the population in the future. With this in mind, a patient satisfaction survey should direct patients to report on their healthcare visit experience rather than their general feelings. Were they able to access the provider when they had clinical needs, and during their visit were they treated with respect or kept waiting for an hour with little concern displayed by providers or staff? Was the patient included in the clinical decision-making with open discussion and a clear understanding of his or her treatment choices? These are just a few elements of importance as we move toward reform’s patient-centered movement and a desire to improve the healthcare relationship between patients and their physicians. A proper survey begins with developing a questionnaire that elicits essential information to help you understand if your office processes and level meets your patients’ needs. The responses will provide you with a baseline for setting improvement goals in areas where the practice is underperforming. In reality, unless you can tout stellar marks, there isn’t a lot of benefit in doing a survey unless you are willing to take corrective action where it is needed. In other words, it is important to commit to both the process and the results. Don’t try tricking the system by polling only the patients that you think had a great experience. Certainly it’s nice to get accolades from happy patients, but the idea of a survey is to get to the truth and identify how to improve the practice by improving the patient experience. There is much to gain by meeting patients’ needs. Satisfied patients are more cooperative during their visit and in following the good doctor’s advice. A happy patient is much more pleasant to deal with in the office and is even more flexible when it is required. For example, if you maintain a good relationship with your patients and treat them right they are not likely to complain if you need to reschedule an appointment because of an emergency or if you ask them to fill out “just one more form”. Another potential gain with providing a high quality patient experience is financial. CMS is already establishing financial incentives for larger practices, based on specific quality indicators and will involve smaller practices and solo physicians in this program in a few short years. The larger insurance plans are also adopting plans that offer financial rewards to practices that improve the patient experience , inevitably reducing the cost of care while improving patient outcomes. So what do patients want from you? They want to feel valued and respected; call them by name and tell them who you are and what to expect during their visit—especially the new patient. They want good communication; if you are taking a telephone message from a patient in need, please tell her when to expect a return call. If you take a message at 9 a.m. and know you won’t be able to get before noon, explain this and get their agreement, and make sure you know how she wants to be reached. This may sound simple, but in the age of technology it’s not necessarily so. Your patient may want an email, a text message, a call to home or work or a call to their mobile phone. He might even want you to reach him through the patient portal or an elderly person could want you to call a family member instead. Get your facts straight—you’ll save time and have a happier patient. It’s good communication and it matters. Patients want the same level of courtesy and consideration from the support staff as they get from the clinician who is providing the treatment. Make sure the practice culture focuses on delivery of service consistently throughout the organization. Discuss patient service at staff meetings and seek ideas on how you can move the bar and continually improve the patient experience. Conduct a new employee orientation session that focuses strictly on the commitment to patient service and your expectations of staff to meet this commitment. In addition, pay attention to your patient’s point of view. By conducting satisfaction surveys repeatedly, you can hold your practice accountable for a higher standard of care and service. It is no longer just about what’s the matter with the patient, but what matters to the patient! To find out more about how to survey patients, analyze their feedback, and use it to improve your practice, join me for my upcoming webinar, Nothing but the Facts: Find Out What Your Patients Really Think, on January 15. Judy Capko is the founder of Capko & Morgan, a healthcare consulting firm. She is located in Thousand Oaks, CA. Judy is the author of Secrets of the Best-Run Practices, Take Back Time and co-author of The Patient-Centered Payoff. Judy is a national healthcare speaker may reached at judy@capko.com.